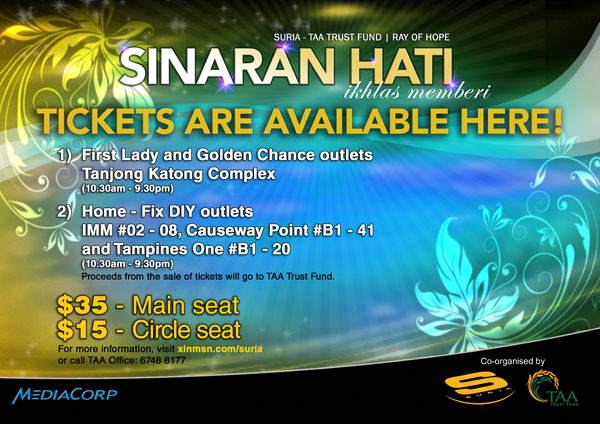 Tabung Amal Aidilfitri (TAA) Trust Fund, in collaboration with Mediacorp Suria, aims to raise half a million dollars through the annual charity concert Sinaran Hati, which will be telecast live from MediaCorp TV Theatre on Friday, 13 January 2012 at 8.30pm on Suria. This is the sixth year MediaCorp Suria and Tabung Amal Aidilfitri (TAA) Trust Fund are collaborating, with this year’s theme “Ikhlas Memberi” (Giving Sincerely) calling upon donors to come forward, and donate as much and as sincerely as possible. The show will see the reunion of the AnugeraHitz.SG hosts Fauzie Laily and Ria 89.7FM radio deejay, Fiza O. The concert promises a diverse fusion of classic, contemporary and ethnic song numbers by the recent Anugerah winners Sarah Aqilah and Rahayu Ridwan, as well as Singapore Idol winners Taufik Batisah and Sezairi Sazali. There will be a unique feature during the two hour long concert, featuring contemporary never-been-done-before Zapin dance segment, choreographed by local celebrity, Marina Yusoff from Sri Warisan and performed by artistes such as Maiya Rahman, Elfee Ismail, Norseha Sani, Shahrin Azhar, Shahril Wahid and Endang Rahayu. Viewers can also look out for Amni Musfirah, a young and upcoming singer who has performed in ChildAid Asia 2011, in Tokyo, Japan and the opening and closing of Asian Youth Games 2009. What’s more, there will be a heart-warming skit item featuring popular comedians Arif Samsudin, Sahfuddin Mahfudz, Husin Saaban, Alias Kadir and Singapore‘s P.Ramlee look-alike, Shafiie Hamzah. Twenty artistes will be manning the donation lines during the live telecast of the show. 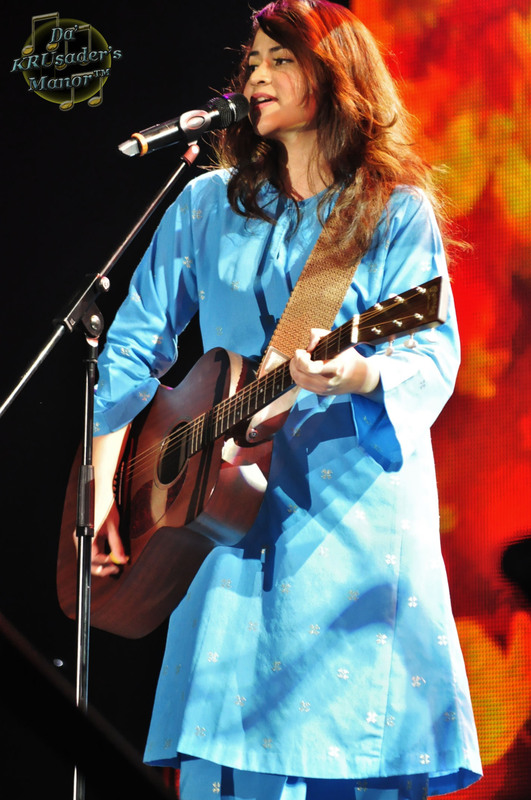 In addition, Malaysia‘s Anugerah Juara Lagu 2011 grand winner, Ana Raffali, known across the shores for performing with her guitar and wearing baju kurung as her trademark, will be the guest performer of the night. TAA Trust Fund or Hari Raya Charity Box was founded in 1992 with a mission to help the poor and less fortunate Malay/Muslim community during the holy month of Ramadhan. Since 2006, TAA has disbursed $4.3 million to 24,700 beneficiaries over the years. A total of $473,545 was raised during the telecast of Sinaran Hati last year. Gracing the event is Guest-of-Honour Major General Chan Chun Sing, Acting Minister for Community Development, Youth and Sports and Minister of State for Information, Communications and the Arts.